Dorothy Maxine Cooper was born in Hays, Kansas, on January 24, 1922, to James and Carrie (English) Morrissey. 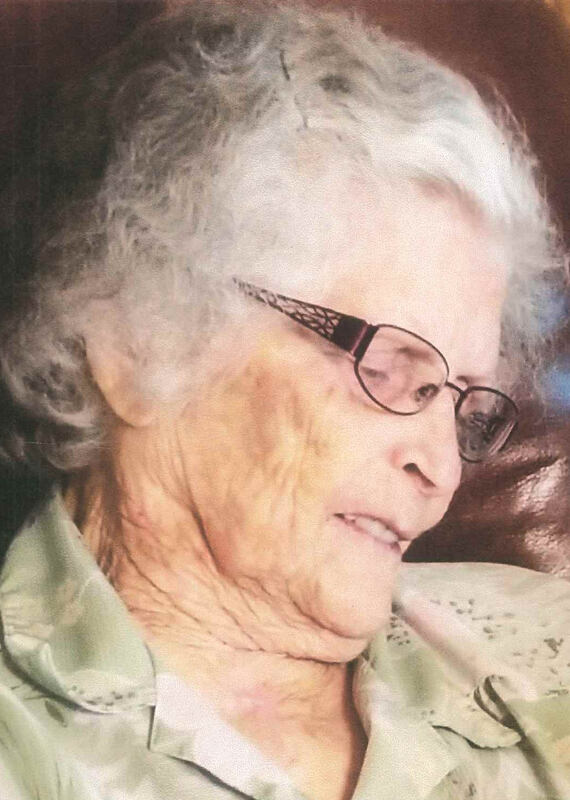 She passed away at her home in Duncan on Sunday, January 27, 2019, at the age of 97. A graveside service is scheduled for Wednesday, January 30, at 1:00 p.m. at the Duncan Municipal Cemetery with Father Peter Jandaczek officiating. Arrangements have been entrusted to Whitt Funeral Home. Dorothy graduated from high school in Hays, Kansas. She married Bobbie Dean Cooper in February, 1950. To this union, four sons were born - Jim, John, Paul, and Joe. She loved to bowl. In fact, her highest score was a 298 ... just 2 pins shy of a perfect score. She enjoyed helping at her children's school and was known as the "hot dog' lady at Mark Twain Elementary. She served as a Boy Scout den mother. She could also be found selling candy at the football games to help buy uniforms for her sons' teams. She loved fishing and camping. She also enjoyed traveling in the motor home later in her life. Dorothy is survived by her sons, Jim Cooper and John Cooper of Duncan, and Paul Cooper of Broken Arrow; grandchildren, Brandon Cooper, Carrie Cooper, Rachel and husband Nick Allison, Charley Juckes, Michael Cooper, Bryan Cooper, Jennifer Cooper and Glenn Goodwin, Julie Gray, and Beth and husband Chris McLean; 11 great grandchildren; 1 great great-grandchild, and sister, Phylis Schell of Long Mount, Colorado. She was preceded in death by her parents, James and Carrie Morrissey; husband, Bobbie Cooper; son, Joseph Allen Cooper; and 11 brothers and sisters. Memorial contributions can be made in Dorothy's name to the American Cancer Society.